The main focus of recombinant DNA techniques is the concept of gene splicing. This is the process in which a specific gene is removed from an organism and inserted into another, usually bacteria. In order to perform this process, the target gene needs to be identified and isolated from other genes on the native chromosome. This gene is then placed onto a vector material, usually as piece of the bacteria itself and inserted into the target organism. To accomplish this task, a geneticist must first locate the preferred gene. Most of the genes are available from a DNA library. This allows a scientist to find the gene that will produce the correct protein in the bacteria. After a gene has been identified, it must be removed from the chromosome. To do this, geneticists use a restriction enzyme that essentially cuts the gene away from the other DNA. Restriction enzyme causes a chemical reaction within the DNA coding that cuts the phosphodiester bond that holds deoxyribose in place. When this is completed, the next step in the process can occur. Using more restriction enzyme, a portion of the vector is removed. Generally, the recombinant DNA process uses plasmid, a circular molecule that replicates without being attached to chromosomal DNA. In order to prevent further cutting from the restriction enzyme, methylation, a repelling of the material using a hydrophobic alkyl molecule is undertaken. Once a portion of the plasmid is removed, the new gene is inserted into the missing area. This must then be inserted into the bacteria or other tissue. One of the major recombinant DNA techniques used to make the vector enter the cell is called electroporation. Bacteria have lipid membranes and cell walls made of sugars and amino acids. These naturally prevent the insertion of the vector and must be somehow made porous. 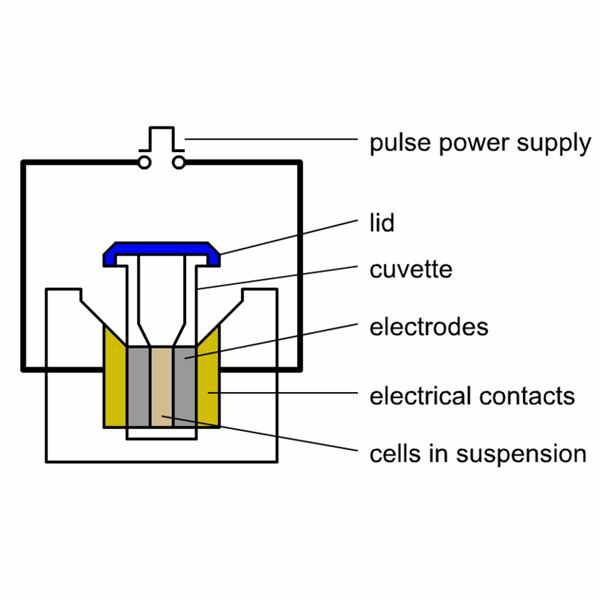 By exposing the bacteria to a small pulse of electricity, it causes the plasmid to enter the cell. Using several hundred volts dispersed across a few millimeters will result in a merger of the two materials. The other form of merging the vector with the cell in recombinant DNA techniques is called chemical transformation. Although not fully understood, scientists can place the vector with the target cell into a solution, usually made of calcium chloride. This combined solution is then temperature-adjusted to cause the vector to permeate the cell wall. Usually, scientists use some form of heat shock or flash freezing to accomplish the task. This is only as 10 percent effective as electroporation. Unfortunately, it is nearly impossible for the experiment to determine if the transformation process was successful until the cell divides.